When I went to San Antonio to visit my wonderful friend Cassy from Fed and Fit, we ate at this restaurant that had these pulled pork deviled eggs to start that were awesome. 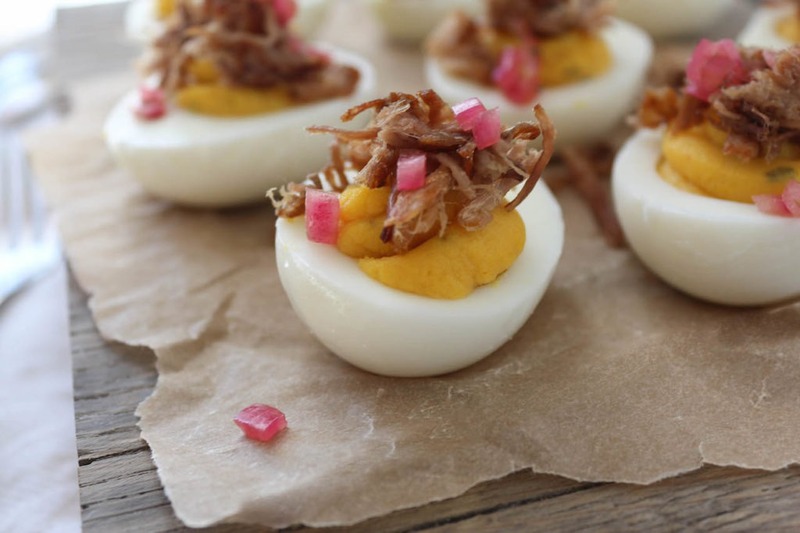 I instantly grabbed my phone, went to the notes section and wrote down that I wanted to make pulled pork deviled eggs when I was back to town. And that’s exactly what I did. I get the question all the time, people wondering where my recipe inspiration comes from and here’s your answer. It comes from everywhere. This time around, it came from a wonderful night out with a wonderful person! You guys. I recently got acrylic nails to test out as my wedding nails and I loooooove them. Since we will be in Jamaica in humidity and sand and sun and water and rain, I didn’t want to have normal nail polish or gel nail polish because I knew it would chip right away. So I went the acrylic route which made me feel like I was getting ready for my junior prom again. I haven’t had those sort of nails is sooooo long. The only problem is that they are just a tad too long that they dig into my hands when I’m gripping a barbell. Which makes for an even more uncomfortable workout. Sacrifices, man, sacrifices. Have you started following me on Snapchat yet? It’s truly the best invention. For so long, I thought it was dumb and only for sending naked ween pics to people. But now that I’m on it and don’t have to listen to people complain about something I post, I absolutely love it! Plus, no ween pics. People just aren’t as happy in 2016 as they were in 2015. I don’t know if you’ve experienced that or not, I’ve just had all sorts of negative comments lately. People attacking me, hating on a recipe, commenting about my body. It’s just made for a frustrating start to the year. Especially after losing two friends within 2 weeks of each other. It’s just a reminder that you truly never know what someone is going through. We all get angry or depressed or upset, but remember that other people are going through something as well. And you may not know the full story. So before you jump on someone’s instagram or leave a review somewhere or make fun of someone, remember that you don’t know what is happening in that person’s life. You don’t know the back story. So be kind, be encouraging, and be thankful that you even have your life still to live. This world has enough hate already in it, no need for us to create more of it. Sorry for the deep talk, but some of you have been with me for the past 5+ years now and as you know, this is what I do from time to time. It’s my therapy session. You’ll be paid for your time in the form of recipes. Cool? Cool. 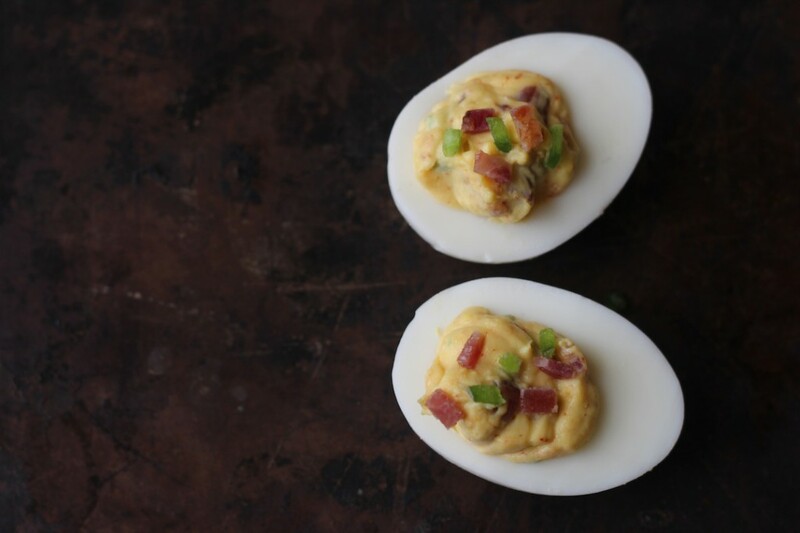 Now the make the deviled eggs: cut the eggs in half lengthwise, remove the yolks and place in a bowl and smash with a fork. Add in mayo and mix well until mixture is smooth. Then add paprika, salt and black pepper and mix once more. Place yolk mixture into a plastic bag, cut off a corner and then pipe into each egg white half. Next, place a small saute pan over medium heat, add 2 tablespoons of ghee then once hot, add shredded pork to the pan and let cook for about 2 minutes, until crispy, then flip to the other side and let cook once again until crispy. 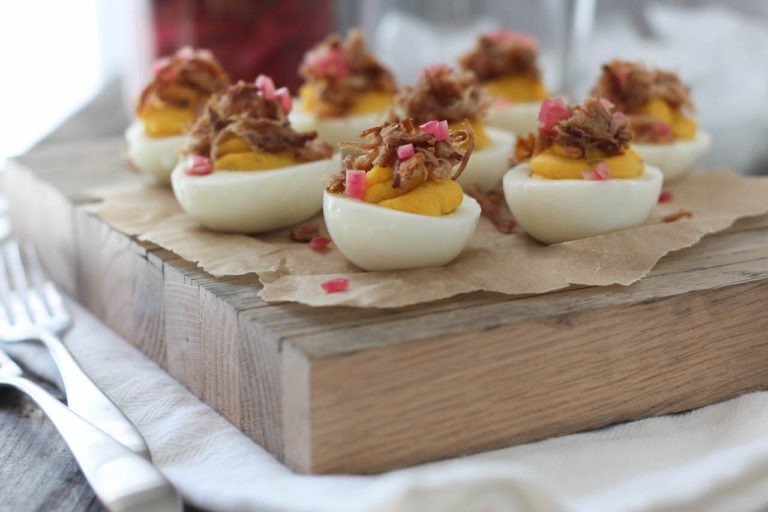 Chop pickled onions into small pieces then top each deviled egg half with crispy pulled pork and a bit of pickled onion. 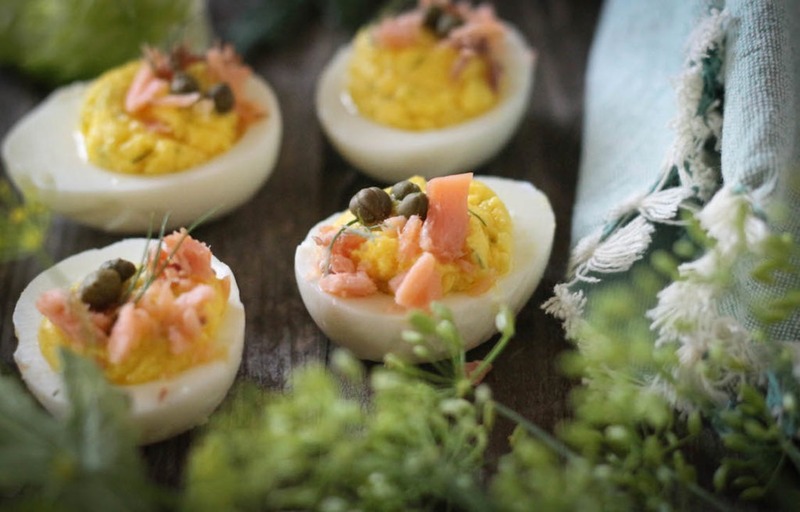 More Deviled Eggs to Put in Your Face! I have never really commented on anything you’ve written, but I figure today would be the perfect day to let you know what I think of you and your blog. I have literally read every single one of your posts on this website! I love your blog, and I have cooked my way through your cookbooks. You’re just a cool person! I find that people are so threatened by others successes. You actually have a voice, and for many people that can be scary which is weird when you think about it right? You have done what so many people only dream of doing (including myself), and you’ve built a life of your own design! You inspire me as well as many other people. Those are the ones that matter. People who have nothing better to do but put others down need to come to terms that they just aren’t happy with themselves and there lives. I think you know that. Just know that if anything, I envy you and what you get to do everyday so at least your inspiring one person to be and do better! I am 24 and have a 2.5 year old, and I can honestly say that having role models like yourself who go after what they want, make me a better mom to my daughter. I hope this brightens your day a little bit Juli! Anybody giving you negative feedback for your body has a serious case of the green eyed monster! And if they don’t like your recipes… strangely enough they have the option of not making them. What is wrong with people? For real! Just keep doing you! Juli, I want to start off by pointing out what an awesome person you seem to be! I have not been following your blog that long (since early February) and you have absolutely inspired me! I have been wanting to find my niche in the healthy living realm. I have been inspired by your recipes and your dedication to fitness. I have been making some of your recipes at home along with other paleo recipes I have found on other websites. I have to say that your recipes by far are the best and are normally the ones that my husband enjoys as well. Some of the recipes, especially dessert or snack recipes that I have found on other websites have not been very good and my husband definitely tells me what he does not like! I have also been contemplating trying Crossfit and because of your posts I have taken the plunge and signed up for the foundations class at one of my local Crossfit gyms. Your stories make me laugh and I love your humor! Again, you have definitely inspired me and if you inspire me, I know you inspire many others! Keep doing what you are doing and be the person you are and let those negative comments roll off your back. You don’t need to worry about the haters when you have so many lovers out there! awwww this is the best comment ever!! so glad you two have enjoyed the recipes, especially because i have a ton of new ones coming up you may like even more! and good for you for starting CrossFit. it’s so intimidating at first but it so so worth it in the end! thanks for the love! Ugh – sometimes people can just be the worst. Props to you for putting yourself out there, making fabulous recipes, sharing outfit ideas (moto express leggings are amazing!) and letting us see a peek into your world. Trolls are just that – trolls. Whenever I read comments from them I always try to think about how sad their lives are, that that’s what gives them a thrill – putting people down. I appreciate your “therapy” sessions like these – a reboot in perspective is always welcome. Have a beautiful day and thank you for sharing your life with us! These look beautiful! 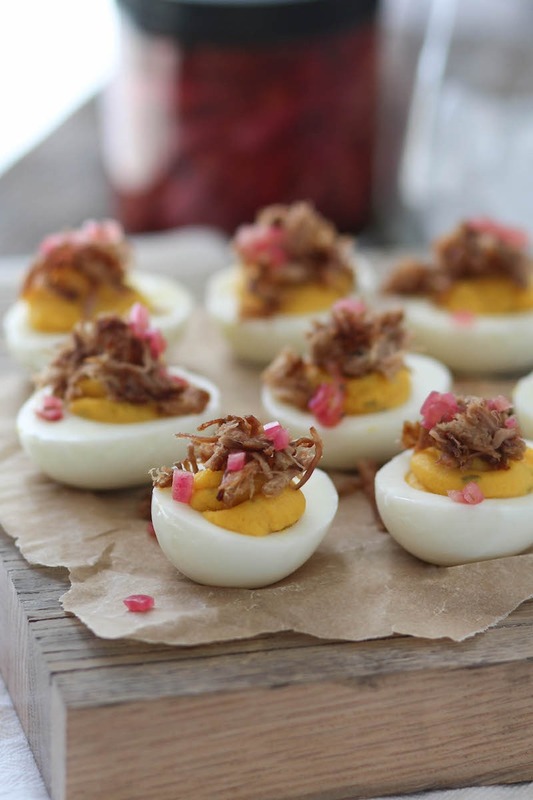 My boyfriend is obsessed with pulled pork and deviled eggs so these could not be more perfect. You have been such an inspiration to me to eat healthy, love my body and have the courage to start a blog. Please don’t let anybody tell you that you’re anything less than amazing. Now tell us what you think about the bachelor last night?!?! in my blog post today! 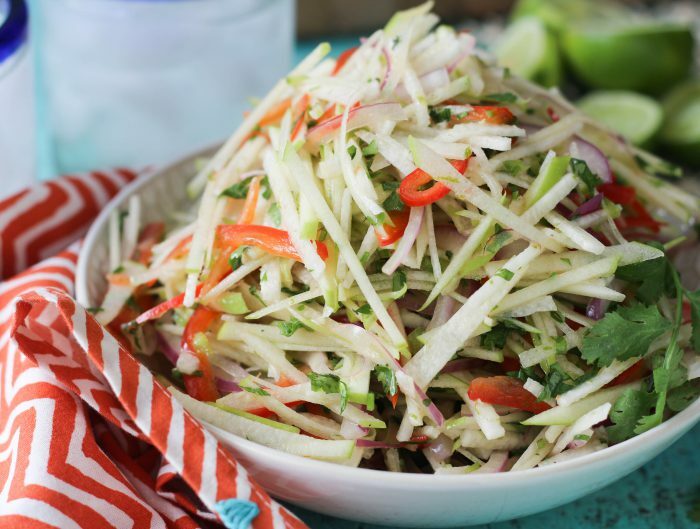 Thank you for both this delicious recipe and for doing what you do every day! I started 2015 overweight, out of shape, suffering from migraines, heartburn, and stomach ulcers, and just generally unhappy. I decided that I needed to take control of my health. I stumbled on your blog looking for a recipe and haven’t looked back. While I don’t necessarily eat Paleo, I do focus on eating whole foods and keep up with my workouts and your recipes and motivation definitely help with that. However, your sense of humor and perspective is what keeps me reading and looking forward to what you will post next. As I sit here eating my Pumpkin Tomato soup from the Paleo Kitchen, I am 25 pounds lighter, off of a few medicines, and generally in the best health and shape of my life, which is in part, due to you. So, I hope that you will choose to focus on the positive impact that you do have, rather than the negative comments of a few unhappy people. congratulations on taking control of your own life and health! it’s a challenging first step to take and you’re obviously rocking it! keep up with the hard work, can’t wait for you to see what great new strides life has ahead of you and your new healthy journey! 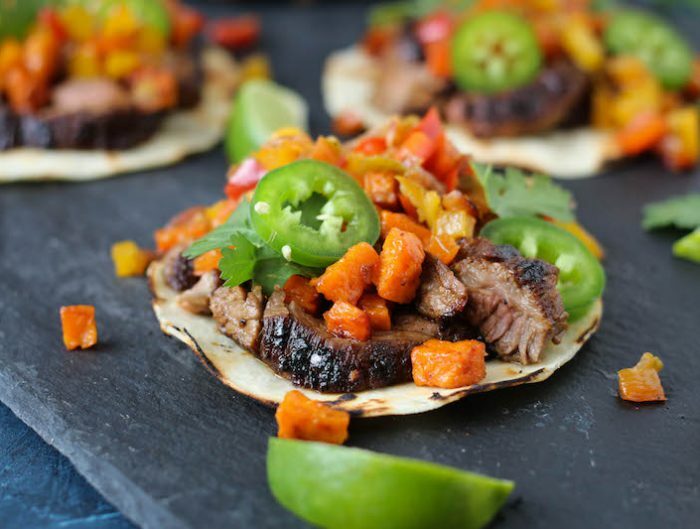 I can’t wait to make these….being added to next weeks meal plan um, now! Screw the mean people, your blog has been such an inspiration for me to start my own, care about my heath, and eat damn delicious food. Hang in there. thanks for the sweet words, Sarah!so glad i can help inspire in and outside the kitchen in some small way!! keep on being awesome! Just laughed out loud in my you-could-hear-a-pin-drop quiet office over the term ‘ween pics.’ You are the best, Julie! I have been following you for a couple years now and you are so funny and inspiring. Don’t let the haters get you down! I haven’t tried any of your recipes yet, but your blog is kind of totally awesome. Thank you for sharing your stream of conscious nest with the world. My girlfriend and I are loving it. Seriously, thank you. I’d love to know which restaurant you visited in San Antonio. We’re in Texas and make it to SA often. Thanks for all of your great recipes! I own two of your cookbooks and love them! Whiskey Cake! and thanks for the support with the cookbooks, hope you’re loving all the recipes from them! Girl! Don’t lose sleep over the haters! I’m not sure why these days people feel the need to be so critical – is it all the entitlement folks think they deserve?!? Or do they just not have anything bigger to worry about?!? I’m new to your blog and really enjoy reading it every day. And I live right here in the best city in America – DENVER! Keep your head up Juli! YAY DENVER!! best place ever…along with Austin and Portland! thanks for being awesome! Julie – you’ve inspired me through your posts and instagram to have a positive 2016. I’m so over women competing with each other instead of being encouraging and excited for one another so I’ve been doing my very best to keep it positive with friends, coworkers and even women I don’t know! I know it makes my day when someone compliments me when I’m out and I’ve been positively encouraging those women making healthy choices for them! I totally agree with you when you say – find your happy and healthy, whatever it is. Thank you for your kind words!! complimenting other women is seriously the best! it honestly feels better making someone else’s day than getting compliments yourself. so glad i could help in some small way. i’ll keep the positive 2016 going!! Thank you for all of your funny, inspirational and delicious posts! 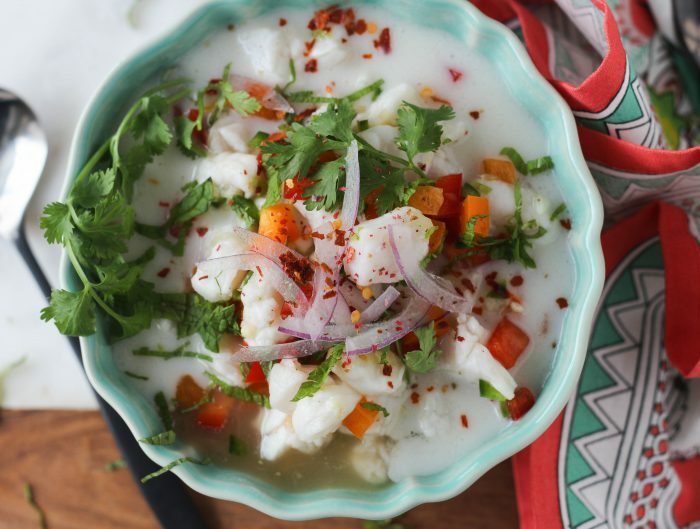 I love reading your blog posts, your cookbook is one of my favorites, and although I rarely shop I swear I have bought about 10 things because you posted about them somewhere over the past few months! You’re an inspiration and have such a great way or sharing your life, I think we all want to be your best friend. I keep telling more and more people to buy your book and follow you, because I can’t imagine who would love you. I never understand why some people need to be negative. It drives me absolutely crazy. As you said you never know what others have been through and the lack of common decency and respect is astounding sometimes. Anyways…… thank you for all of your recipes and inspiration. Oh and we had your spicy sweet potatoes tonight because we have them ALL THE TIME and they are amazing! We never truly can be in perfect “osmosis” with a blogger, like, I’m not that much into the girly talks of acrylic nails and sports bra that show your abs when exercising, for example, and sometimes some comments you make are not enough on the feminism side of things for my taste BUT, that being said, I come back because I think you work very hard on your blog and it shows. And you have a personality that gives true colors to your space, we can NOT say the same thing about these healthy living-boring blogs out there. So kuddos to you girl! I am beginning my paleo journey, and your cookbook, blog, and Instagram have become beacons of shining light – truly. So, although haters gonna hate, there are many, many more of us out there reading, cooking and being inspired. Thank you. I now have to go find Royal Burger next time I’m down in Denver (I live by Loveland) and have also tried Root Down at DIA. I especially love it when you give us great choices on eating out. awwww thanks so much, debbie! !